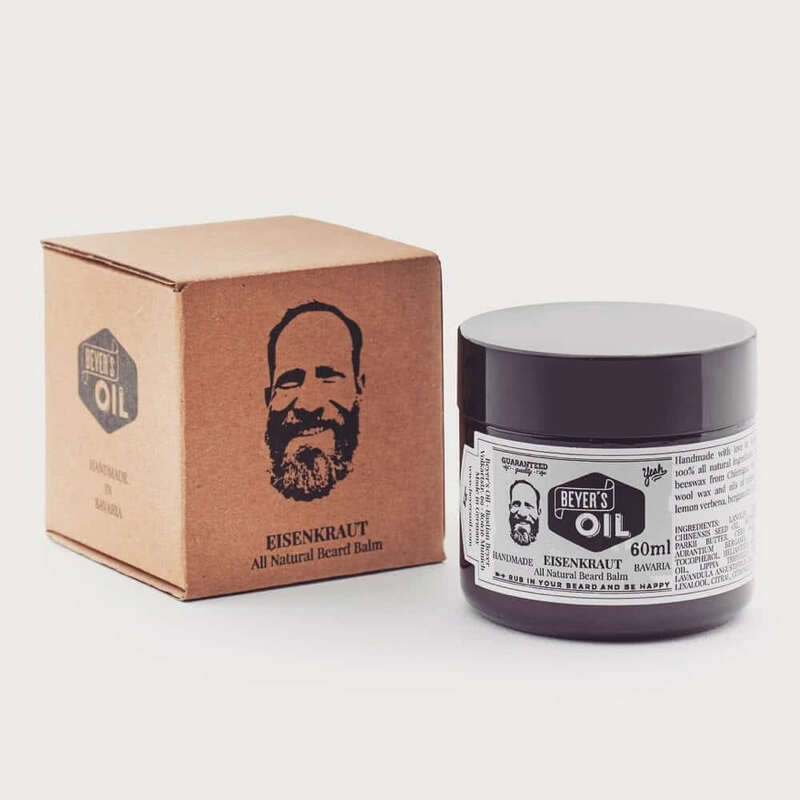 Beyer’s Oil Beard Balm Eisenkraut helps you shape your beard and tame unruly hairs. The beard balm grooms beard hair, making your beard smoother and preventing itchiness. Beyer’s Oil Beard Balm Eisenkraut contains Bavarian beeswax, shea butter, wool wax, jojoba oil and essential oils including lemon verbena (also known as verveine, or Eisenkraut in German). This precious and expensive essential oil, blended with bergamot and lavender, dominates the scent. The fragrance is characterised by fresh citrus notes without being too sweet. All ingredients used are 100% natural. I am particularly happy to be able to use beeswax sourced from a small hive from my hometown close to lake Chiemsee. Spread a pea-sized amount on your palms after washing and rub it into your beard using your fingers.